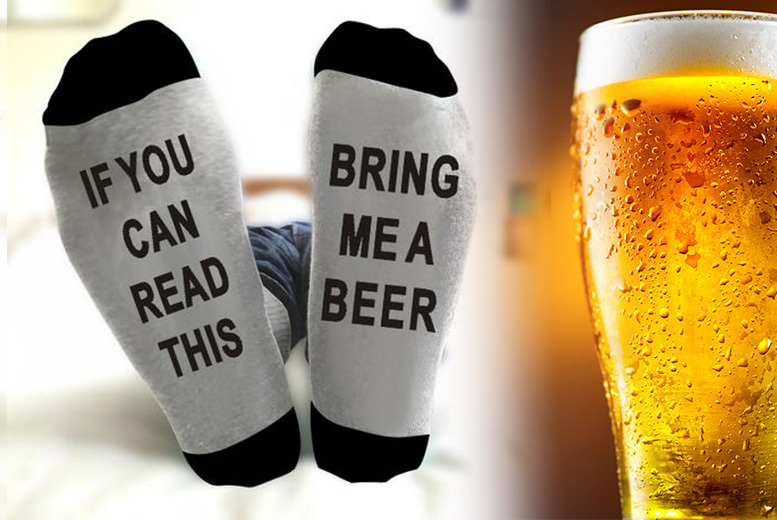 Get a pair of ‘bring me a beer’ slogan socks. One sock reads ‘if you can read this’. And the other reads ‘bring me a beer’. In a one size fit for men’s UK sizes 4-9.